Elle is on the cover of the Spring/Summer issue of LOVE Magazine! This is the same photoshoot from when she covered their Holiday issue last year, by Alasdair McLellan. Our gallery has been updated with the images. 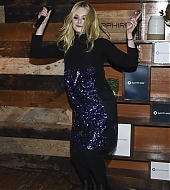 Elle visited the IMDb Studios at the Sundance Film Festival to promote I Think We’re Alone Now, and our gallery has been updated with images from the event. 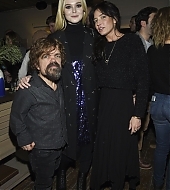 Elle visited the Deadline and Variety studios at Sundance Film Festival today to promote I Think We’re Alone Now with co-star Peter Dinklage and director Reed Morano. I’ll update this post once the videos of her interviews are released, but our gallery has already been updated with images from the events. 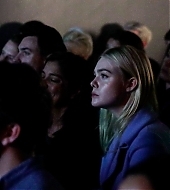 Elle attended a premiere for The Alienist during the Sundance Film Festival yesterday! The show premieres on TNT on January 22, and it stars Dakota Fanning. Our gallery has been updated with images of the event.